These objectives have been made to be used in Warhammer 40,000 and beyond, giving you the look of an overlayed vid-screen or something, a general's eye view of the battlefield. 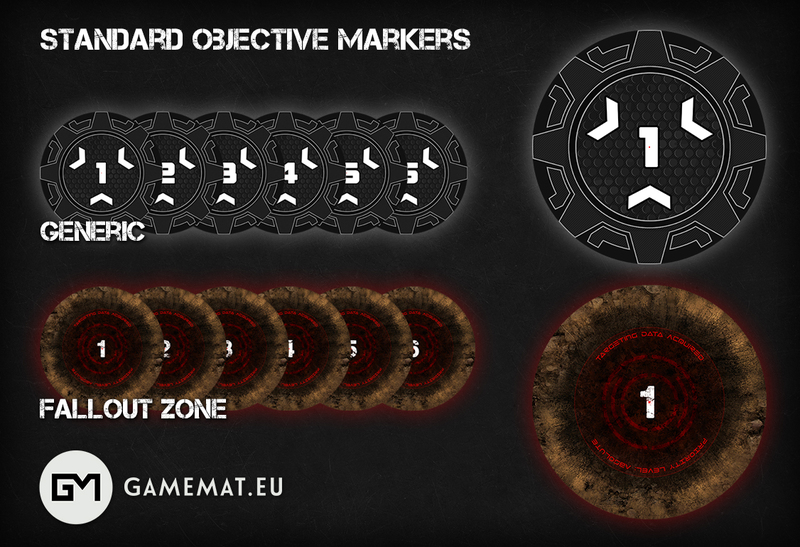 I thought the Fallout Zone markers were particularly cool and could potentially be used once one of the general objectives has been 'claimed' by the opponent. The material used for these is the same as their regular mats so it's durable and hard-wearing, perfect for someone looking to use these during tournament play. The sets above range from one through to six and measure 6" in diameter. 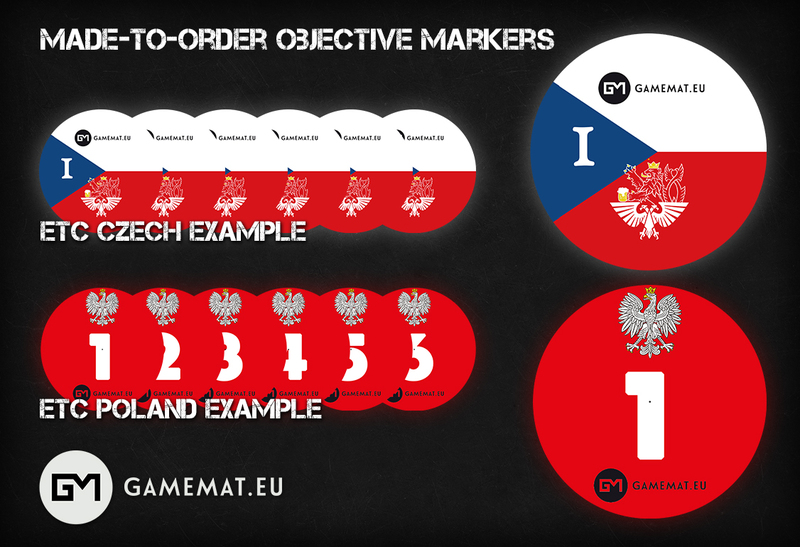 If you're looking to use these for your club or tournament games then GameMat.Eu is also offering a chance to snag these up with customised designs. These can be designed for teams, events or just your local store. They might stand out a bit more on the tabletop but when you need to work out exactly who is holding what, these could be very helpful. Anything that helps you customise your gaming experience is a good idea in my book and alongside the work by Bandua Wargames you now have lots of cool options for objective markers on the tabletop. "...you now have lots of cool options for objective markers on the tabletop"